I can’t believe I’m not as prepared this year as I was the last two years for April! I finally decided on a theme for the A to Z Challenge. I was inspired by a great friend of mine who is about to launch her own website about all things related to having good manners, a lost art sometimes. M.Q. loves flowers and the pretty-much lost language of what plants mean, so she asked me if I’d be interested in helping her explain what giving certain flowers means (or used to mean and should again). April 1 (no joke! ), I’ll start with the Letter A and include a link to M.Q.’s new website. Did you know flowers were used to deliver messages without words? Do you have a favorite flower? 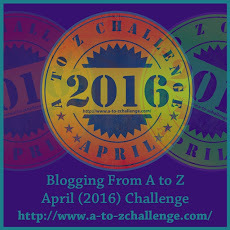 Have you participated in the A to Z Challenge?